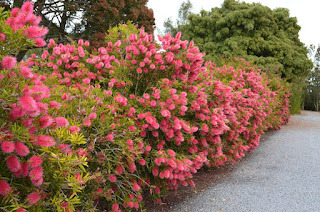 Spring bursts forth with wonderful colour with many flowers and shrubs flowering at this time. 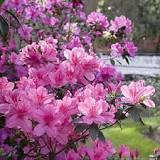 Shrubs and Trees: Azalea, Camellia, Euphorbia Diamond Frost, French lavender, Magnolia, Murraya, Tibouchina and Viburnum. 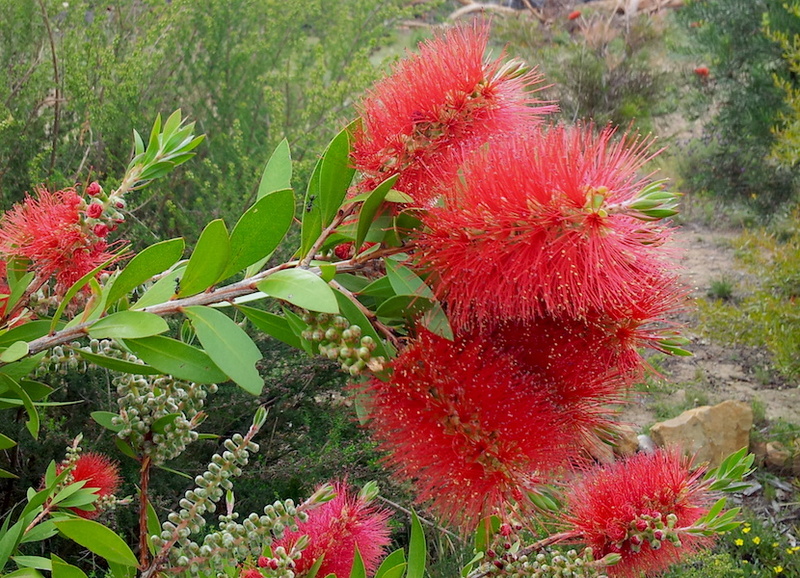 Natives: Banksia, Boronia, Callistemon (bottlebrush), Hardenbergia, Kangaroo Paw, Waratah and Vireya Rhododendron. 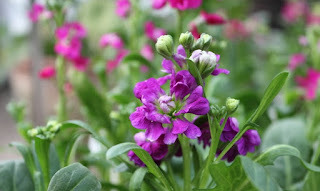 Annuals and perennials: California poppy, Campanula, Cineraria, Cornflower, Cuphea ignea, English daisy, Gazania hybrids, Geranium, Gerbera, Kalanchoe, Lobelia, Lunaria, Pelargonium, Polygala, Primula, Poppy, Stocks and Wallflower. Bulbs: Anemone, Babiana, Daffodil, Dendrobium speciosum, Freesia, Paintbrush lily, Ranunculus, Salvia, Strelitzia, Tulip. 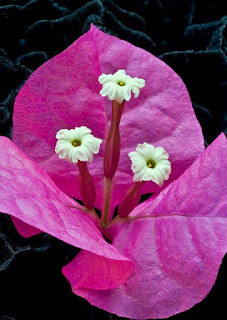 Climbing plants: Bougainvillea, Clematis, Wisteria. 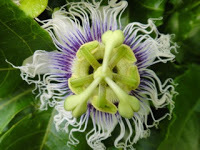 Shrubs, Trees, Natives and Climbers: Citrus, Passionfruit, Wisteria, Hibiscus, native tubestock and Vireya Rhododendron. 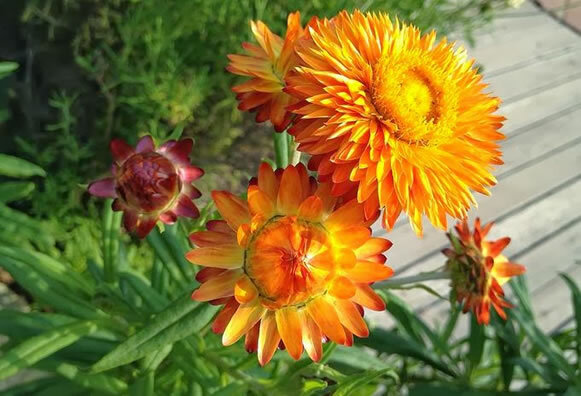 Annuals and perennials: Aster, Chrysanthemum, Cosmos, Everlasting daisies, Marigold, Nasturtium, Petunia, Salvia, Verbena and Zinnia. 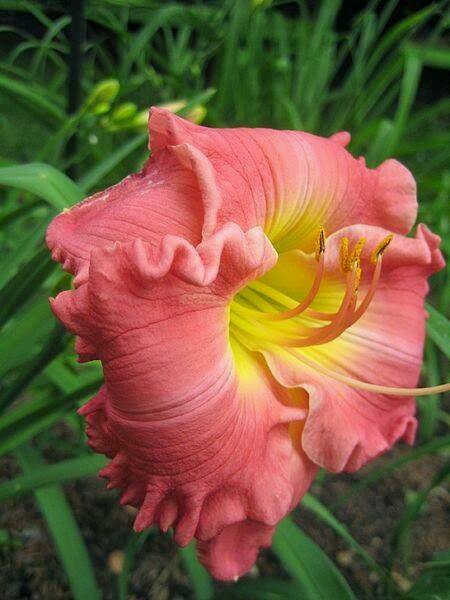 Bulbs: Agapanthus, Amaryllis belladonna lily, Canna, Dahlia, Daylily and Hippeastrum. 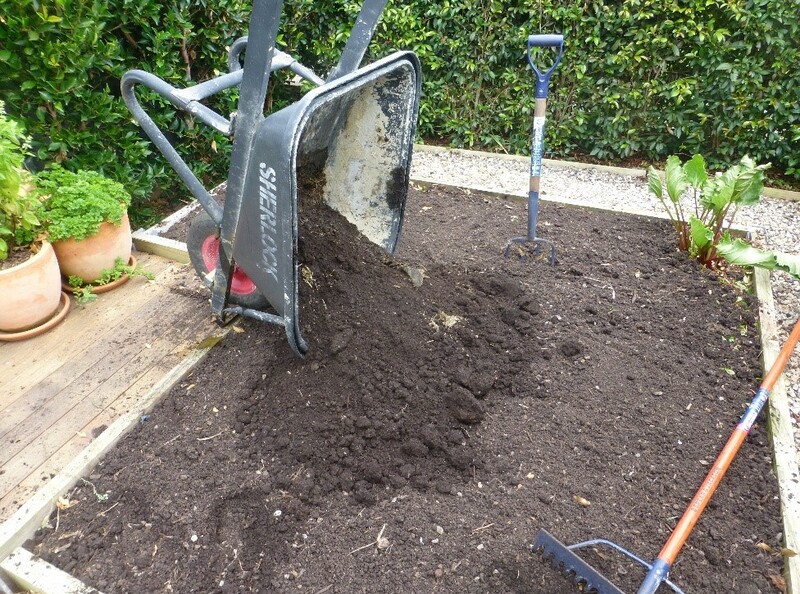 Prepare your vegetable patch by forking mushroom compost or cow manure through the garden, then giving a thorough water before planting your summer yielding crops. Add blood and bone and a little garden lime. 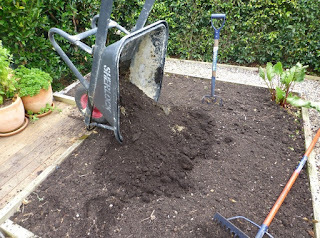 It's a great time to get a crack on in the vegetable garden with planting Beans, Carrots, Celery, Chillies, Cucumber, Eggplant, Garlic, Leek, Lettuce, Melons, Potato, Pumpkin, Silverbeet and Tomato. 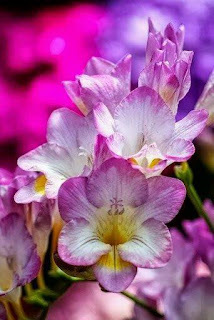 Total Gardens have good peanut plants which might be fun to plant in a large pot. It's also time to get those wonderful summer herbs kicking along like basil. Don't forget to plant some flowers in your vegetable patch to encourage bees to visit, best colours are blue, purple or yellow flowers. 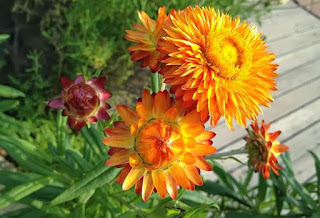 Remember to give spring annuals and bulbs some potassium-rich feeds to encourage brilliant flowers. As the bulbs finish flowering, they can be dead-headed, however don't be tempted to cut off the untidy foliage - let it die down naturally. 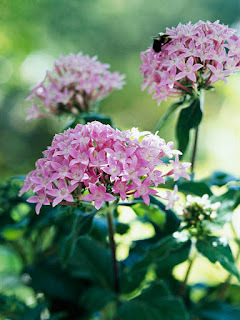 Prune shrubby perennials such as Pentas, Impatiens, Hibiscus and Heliotropium. As winter blooming shrubs finish flowering, they can do with a little haircut at this time too. Prune Bottlebrush, Hibiscus, Camellia, Plumbago and Poinsettia to encourage good new growth. As it has been so dry recently, coupled with the usual windy conditions in spring, make sure your plants have enough moisture. Once the ground is moist and has warmed up a bit after winter, this is a good time to apply a mulch. It's out with the old and in with the new - well at least for our pot plants! Re-pot into bigger pots with some fresh potting mixture or top up existing pots, then add a slow release fertiliser and give them a very good soak. Commence your fortnightly liquid feed of your pot plants and continue until late March. Divide and re-pot your Cymbidium orchids if they are getting overcrowded. Move the potted orchids into a lightly shaded spot to protect them from intense heat during the summer. Feed them with a fertiliser to encourage general good health and growth. Fertilise winter blooming shrubs like Camellias and Azaleas once they have finished flowering. 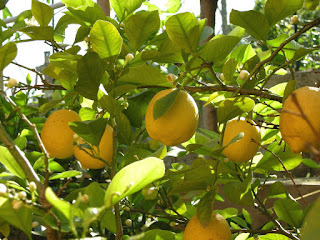 Keep Citrus well watered and feed with a complete citrus food. If your trees need 'opening up' to allow more air and light into the tree, do so now. Remove any citrus gall wasp affected branches and and spray to prevent leafminer as once you see the evidence there is not much to do apart from removing the affected leaves! Feed your lawn with a lawn builder, which will help strengthen roots, promote growth and thicken your lawn. Gardenias are starting to bud now so give them a feed with complete fertiliser so their summer flowers will be stunning.